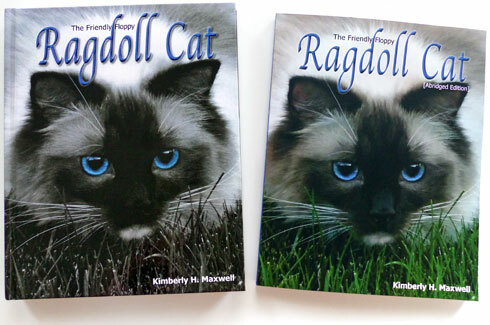 My first ‘real’ book cover was for my hardback, The Friendly Floppy Ragdoll Cat. I tend to put the cart before the horse. My brain usually gets an idea for a cover before I start writing. I’ve been making my own personal photo books for years, usually of our vacations. Out of the hundreds of photos I take, before they’re even off my camera, I usually have a thought as to how I want to make the cover. This comes much easier to me than writing. 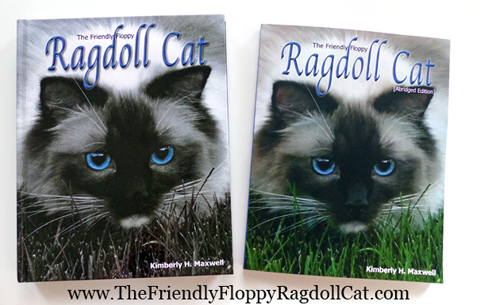 Now on my hardback I knew I couldn’t use my furbabies because they are not purebred Ragdolls. I was sent tons of photos for use in my book. Those cat owner and breeders supplied me with cat registry copies for proof of purebred, and thousand of photos. Some were out ruled right away for the front cover because they were not high enough resolution. I was still left with a tough job of choosing because of the gorgeous cats and photo abilities by the gracious people who sent in photos. I looked back to see if I saved my other choice mockups I made. I didn’t, but if they were in the running for the front cover, they made the back cover or one of the eighteen, large chapter photos. I realized I was going to have a blank page (hardback only) after the last chapter and again someone from my Ragdoll online groups stepped up. 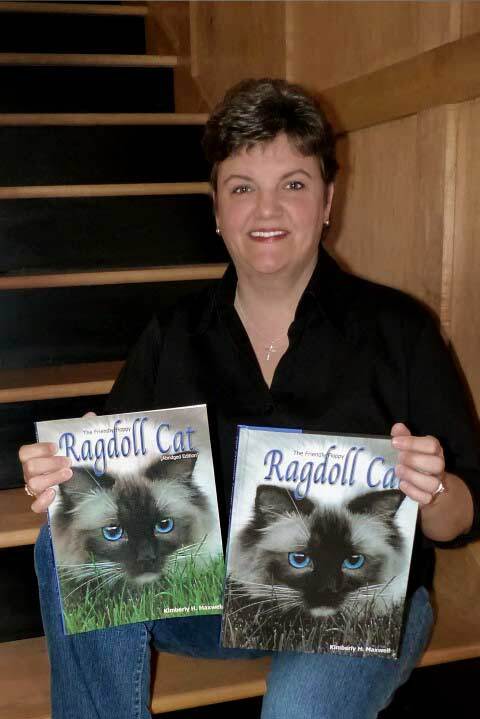 Alissa Pendorf drew a wonderful portrait of Jenny Dean’s Ragdoll Charlie. I knew I wanted a head shot and that I wanted to use selective color to focus on the eyes. I made several mock-up choices and had them printed as 8x10s. I put them on my fridge and moved them around for weeks, putting my favorite on the top. Again I was in no hurry because I still had the book to write. Eventually choosing Marsha Harris’ Tessie from Fur Real Ragdolls. Tessie’s half brother Quincy is also in the book, but I really liked how Tessie’s eyes stood out being a seal point mitted. So that is how my front cover came to be. I’m leaving out all the changes to the title, the editing involved, and the back cover design, but in short I went with what I’d envisioned from the start. On the abridged paperback version, I went with the same cover but in all color. Looking back my author name should’ve been larger. I was so reluctant to make it too big it looks a little lost down there on the bottom. I’ll chalk it up to a learning experience and not do that on a clients cover. This entry was posted in book cover design, Book Covers, Books, Cat Writers, Catch ALL page (blog), Cover Design by Kim and tagged author, book cover, book cover design, Books, Cat, Cover Design by Kim, CWA, Ragdoll on January 2, 2015 by KiM. Visit my author page on Amazon or Barnes and Noble and on there you’ll find links to purchase. If you’ve read the books and enjoyed them I’d love a review.